Mr. Adnan Awad has been the Director of IOI-Southern Africa since 2007. 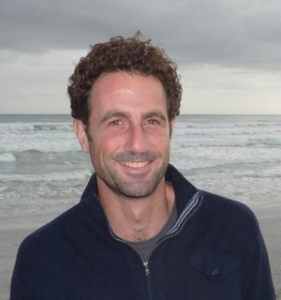 He earned two undergraduate degrees at the University of Washington and his Master’s at the University of Cape Town, where he has focused on marine ecological issues associated with invasive species. Before joining the IOI, he worked for the Global Invasive Species Programme, as well as the International Maritime Organization for 5 years on a programme addressing ballast water management. He continues to collaborate with the IMO on training, policy and technical capacity development issues. Over recent years Adnan has been working with regional partners (e.g. UNEP-RS, UNDP/GEF) to address key ocean governance concerns around Africa. His focus on developing partnership-based approaches is helping support the environmental and humanitarian aspects of the AU 2050 AIM Strategy. The resulting expansion of Blue or Ocean Economy initiatives at national and regional levels is providing the foundation, and also the demand for increased NGO and marine conservation effort to ensure that the principles of sustainability are adequately integrated across sectors. On the more technical side, his research and management work has also engaged IOI-SA with projects to survey the biota of port environments around Africa, as well as developing marine biosecurity frameworks for African countries, including strategic research, management and policy components. He has developed expertise in areas of marine pollution management, helping address various maritime environmental challenges. The IOI-SA is now actively involved with the development and delivery of technical short courses on these subjects. As the IOI coordinator for the African region, Adnan is working with the other IOI Operational Centers in Africa to help address the pressing technical capacity deficit for management in coastal and marine affairs. His role on the IOI Governing Board also helps ensure consistency between the IOI-SA and the rest of the IOI global network.